When it comes to fun and inexpensive rainy day activities, coffee filter crafts are at the top of the list. You'll be surprised at the things you can make with a few coffee filters, some basic art supplies, and a little time! Whether you're looking for an entertaining craft project to do with preschoolers or just need a fun way to keep yourself out of trouble for an afternoon, coffee filters are actually the ultimate low-cost craft supply. At only a few cents apiece, they offer a durable material that has some unique properties. They are similar in texture to fabric, yet they accept dye easily. 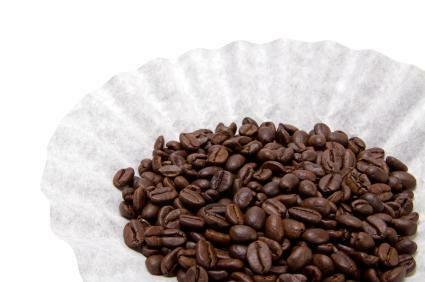 Why not give some of these fun coffee filter projects a try? This super-easy craft is perfect for preschoolers. Older kids can jazz things up a bit by adding extra decoration to the fish. Using the markers, cover the coffee filter with lots of scribbles. There's no need to worry about being neat or making any specific designs. Spray the coffee filter to make the markers run. When the filter is wet enough, you'll end up with a watercolor effect. You can let the filter dry over a couple of hours or dry it more quickly using a hairdryer. Trim the coffee filter to resemble a fish. Do not discard the scraps. Glue the fish on the construction paper. Glue an eye on the fish and use markers to add detail to the fins. If desired, add glitter or sequins. Tie the yarn to the pipe cleaner. Glue the pipe cleaner near the top of the page to resemble a fishing pole. Using your scraps of dyed coffee filter, make a worm or a fly to use as bait for the fish. #Tie or glue the bait to the end of the piece of yarn. While coffee filters might not be the first material you think of when in comes to creating a scrapbook album, they actually make a unique and fun way to display your photos and other items. The filters create pockets for memorabilia, and these albums are a great way to pay tribute to the coffee-lover in your life. Start by tracing the front and back of the coffee filter on the scrapbook paper. Cut out the shape of the filter, and glue it to the front of one filter and the back of another. This will become the cover of your album. Stack all the coffee filters together. Using the hole punch, make three holes in the narrow end of the pile of coffee filters. Use the ribbon to bind the pile of coffee filters into a book. Apply photos and other items to make your own coffee filter scrapbook. If you're a little short on cash for your next luau, why not make some of the decorations yourself? For mere pennies, you can easily make coffee filter leis in tropical colors. Put a few drops of food coloring in each bowl of water. Dip coffee filters into the water to dye them. Use the hairdryer to dry off the filters. If you have lots of time, you can place the wet filters on a cookie sheet and wait for them to dry. Fold each filter in quarters and cut petal shapes. Holding the filter in the center, gather it up to form a flower. Tie the center with a rubber band. Repeat this process for all the filters. Using a needle and thread, string the flowers together to create a lei. Make a coffee filter critter. Create a coffee filter angel. Show off your creative side with coffee filter flowers. It's fun, easy, and inexpensive to use coffee filters as a craft material. You'll be surprised at all the coffee filter crafts that are possible with a few filters, some other low-cost craft supplies, and a little imagination!